Risk tolerance levels have risen appreciably today with traders prepared to buy into the high yielding currencies en masse, although significantly the yen has held its value against the dollar. The dollar has pretty much collapsed against every other major currency however, with a rise in equities equalling a license to sell the dollar. We have witnessed an aggressive bout of dollar selling Thursday, with the US currency falling broadly across the board, particularly against the Canadian dollar which has been on the rampage for most of the day. Stock markets in Europe are higher by 4%-5% on average as buyers frantically try to get a piece of the action, following heavy losses earlier in the week. The US currency is now a significant target on yield grounds – offering a mere 3.5% yield and with the Fed acting in isolation to calm markets and expected to cut rates again next week by a further 50 basis points, the dollar is very vulnerable. The dollar’s best hope of defence is if risk aversion levels remain high and stock markets resume their decline. It is a sad situation when a country’s currency is only seen to be of value when global share prices nosedive, but that is the very real outcome of the Fed’s policy of acting so aggressively and acting alone. The ECB and the Fed are poles apart in their line of thinking, as confirmed by ECB council member Alex Weber today, who stated it was ‘wishful thinking’ to believe the ECB might contemplate cutting interest rates. Markets remain fragile however and a spark either way could trigger further volatile periods that could send currencies sharply in either direction. The commodity currencies are particularly susceptible to sharp moves, given they have already recouped all the losses incurred earlier this week. The euro has pushed back above 1.47 for the first time this week and having broken through resistance at 1.4720, seems poised to reach the 1.48 and set itself up for another challenge of the lifetime high, which is currently at 1.4966. Few people are going to wish to buy the dollar ahead of the Federal Reserve’s second rate announcement in a week next Wednesday, and the only downside risk for the euro is a capitulation on stock markets which leads to a flow of ‘safe haven’ funds back into the dollar. Germany’s important Ifo business sentiment index came in higher than expected in January and higher than the previous month’s reading, meaning increasing talks of a US recession and a soaring euro is certainly not yet denting business confidence in Europe’s largest economy. Us economic data out Thursday showed jobless claims fell to a 301K last week 20K better than forecast, while existing home sales declined further to a 4.89 million rate in December against a forecast of 4.95 million. There is no market-moving data out Friday and direction will be dictated by sentiment, which remains dollar negative, unless there is a sharp decline in equity prices. Strategy: Buy on dips towards 1.46, with upside price targets of 1.4720, 1.4750, 1.4815, 1.49 and 1.4930. Keep on eye on the Wall Street industrial averages and if there is a major decline, do not enter the market. The pound has had a solid day, rising over 0.8% against the dollar and virtually unchanged against the euro. The only economic data out of the UK Thursday was the BBA mortgage approvals number for December, which fell to 42,100 from a downwardly revised 43,900 in November. This didn’t matter on a day when markets were driven by risk appetite for high yielding currencies, as global stock markets rebounded from their heavy losses earlier in the week. Sterling is also supported by a stronger than expected quarter 4 GDP number, released Wednesday, and a hawkish set of minutes from the Bank of England, where it emerged only one committee member voted for a rate cut in January, with the other 8 voting to stand pat. If stock markets do settle through the remainder of the week, sterling should be able to extend its rally against the dollar, ahead of next Wednesday’s Fed rate announcement. I remain bearish on cable but do not believe it worth the risk entering the market ahead of next week’s Fed meeting, at which time rate differentials are likely to widen again. We should see sterling rise to take on 1.9850, which is the key dollar resistance point below the 2 dollar line. If risk tolerance levels are sustained, sterling has the potential to push the euro back to the 0.74 pence line in the near-term. Strategy: remain on sidelines for now. The Japanese currency has predictably retreated Thursday with risk aversion on the wane after stock markets surged over the past 24 hours. The yen has held its own again the greenback and the pair is currently trading at much the same price at which it closed Wednesday. Japan’s trade balance narrowed for a second straight month in December, hinting the sharp appreciation in the currency over recent months is having an adverse impact on the country’s exporters. The fortunes of the currency are totally dependent on market sentiment and risk aversion, but if the recovery staged over the past 24 hours persists to the start of next week, the yen will come under tremendous pressure on the carry trade side, with high yielding currencies having the most to benefit from a further rate cut from the Federal Reserve next week. The euro has soared to 157.70 against the yen, meaning a gain of over 500 points since Wednesday. There is no value in buying the yen in the build-up to the Fed meeting, given the underlying risks. There look to be some value in buying AUD/JPY on any dips to below Y92.50 as this pair might easily sail towards Y96 by the middle of next week. The loonie has had a remarkable day, even by its standards. It has risen an extraordinary 1.4% against the greenback today and despite the Bank of Canada having cut rates on Tuesday and hinting at further rate cuts, the Canadian dollar is now trading almost 3 cents below the levels it had fallen to on Tuesday. I did state on Tuesday I had a fear the pair were destined for a correction back to 1.0180 or perhaps 1.0050. With risk tolerance levels at fever pitch only 24 hours after the world was apparently going to collapse, the omens do not augur well for the US currency in the build-up to next week’s Fed meeting. There are two events that can save the greenback from an imminent fall back below parity 1) stock markets slump tonight and tomorrow and the rise in risk aversion sends the loonie packing or 2) Friday’s consumer price data out of Canada is soft to the point of being worrying for the Bank of Canada and suggest a 50 basis points cut might be on the cards at February’s meeting. Once next week’s Fed is out of the way and prices have settled and stabilised we should see resumption to the uptrend. 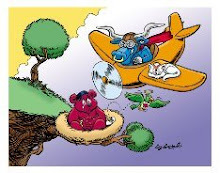 The Fed’s shock 75 basis points cut this week has really derailed us bulls to some extent, but we need to be patient, bide our time and wait for the right opportunity to re-enter the market. Those positional traders long on USD/CAD will just have to sit it out, but stops should be returned back below 0.9750, because bears are setting up for an attack on the parity line. Strategy: wait for further directional clarity. A soft core inflation number out of Canada Friday (< 1.5%) is a signal to buy, with a target back above 1.0180 and then 1.0220.